My 1 year old Chow has been dealing with anxiety. HELP! 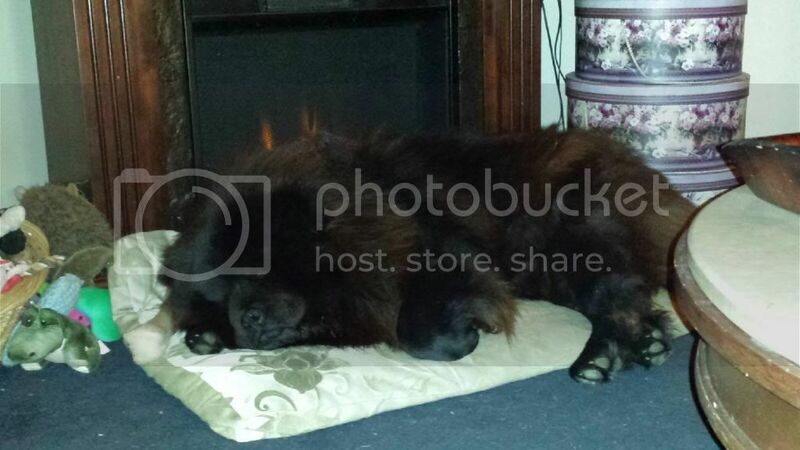 Ghost is a male chowchow. He's super friendly and very sociable. We always take him to the same groomer, but the last couple of times they changed the guy who usually showers him, and we took him in for a shower last Saturday and he's been anxious and having unusual behavior since then ! On Sunday night he peed in the house which is something he never does, he's been having nightmares, he used to love going on long walks and now he just goes out to poop real fast and then wants to go home immediately after. We really don't know what to do, we just want our playful little Ghost back The vet told us it will take time but it's been a week, what can we do to help him ? Wait for one week. Provide Ghost the feeling that you care and love him a lot. Since he is a year old by any chance did he recently get his rabies shot?